Denali Tiller has been an artist, a teacher, a world traveler, and was named one of 110 “Filmmakers to Watch” by Variety, but Tre Maison Dasan happens to be her feature film debut, even if it is so assured and naturalistic that this is hard to believe. The film is told in collaboration with its young stars, the three titular boys, Tre, Maison, and the youngest, Dasan, seen through their eyes as they come to terms with having a parent in prison as they come into their own. The New Mexico-raised, Rhode Island-based Tiller spoke to us about her experiences making this film, of the bond she developed with these boys, of their experiences meeting each other and how they’re doing today. How did you first come to want to make this film, to tell these boys’ stories? In 2014, I met Joyce Dixson-Haskett, who spent 17 years in a Michigan prison. Her sons were 6 and 8 years old when she went to prison, and 23 and 25 when she came home. When she got out of prison, to find her oldest son was serving a life sentence, she started researching what had happened to her two little boys when she went away. 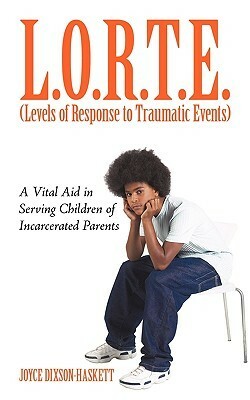 Out of this research, she created a psychological model — Levels of Response to Traumatic Events (LORTE) — that outlines the cycle of grief and trauma that children go through when presented with the unique challenges and stigma of having a parent in prison. In conversations around criminal justice and prison reform, the perspective is most often of those that are in or have been in prison. But of the millions of people who have experienced incarceration, there are millions more who have borne the collateral trauma of that absence and the stigma that surrounds it. I wanted to hear from these families, and particularly children like Joyce’s. I started going to visiting hours at John J. Moran Medium Security Prison, which is where I met Tre and Maison (and later, Dasan, once I got access to the women’s’ facility). The stories evolved from there, and the film grew out of the relationships I built with these kids. I knew that if I, or anyone, were to share any story about children experiencing parental incarceration, it should come from them directly. So often we tell stories about children through a top-down perspective, informed by what we (adults) “know” about their psychology and how their lives will unfold. There was a desperate need for a film that allowed the children to speak for themselves, and fully represented their experiences and the rippling effects of our vast incarceration system. Relationships. This was not a process of popping in and out of these kids’ lives to tell a story about how their parents’ incarceration is affecting them. I was there almost every week for 3 years, most of the time with a camera, but not always. We collected over 300 hours of footage, through which I never pressured intimate moments or scenarios based on the story I thought we were telling. I just spent time with them, listening and playing and documenting and collecting the stories from their lives as they were in front of us. Probably 80% of the footage we came away with is us just hanging out — playing with Legos, eating McDonald’s, going to the beach, birthday parties, Thanksgivings, Christmases, school days. The intimate scenes you see in the film are just blips in the time we spent with Tre, Maison and Dasan, documenting their lives so when they would happen we were already there and already filming and the kids trusted us with these moments enough to capture them as they unfolded. They have described it to me as the camera just not being there after a while. It got to a point where Tre would ask us to come film with him, or to spend time together. Towards the end of production, Maison asked us, “When this movie’s finished, can you keep filming me?” They became a part of my life, and I became a part of theirs, and I came with my camera, and that’s how we were able to tell these stories together. Their paths didn’t cross in the film itself but have any of the boys met each other since the film’s come out? In fact, Tre and Maison’s fathers were both incarcerated at the same facility! They saw each other on Saturdays in passing but did not know each other beyond these interactions. Since the film has come out, the boys have become friends; Maison and Dasan are particularly close. One of the most moving moments for me was the first time they were all at a film festival screening at the same time (IFF Boston). They had all seen the film a couple of times already, but during this screening, they sat together and I watched them connect and look out for each other during the entire film. At one point, Dasan got emotional and Maison put his arm around him and wiped his tears. At another point during one of Tre’s more difficult scenes, the two other boys kept looking over to make sure he was okay. It was so incredibly powerful to not only see them supporting each other through this experience that they alone shared throughout the process but also to imagine the impact on other children seeing the film who until that moment may have felt that they were alone. Best friends by the end of AFI Docs. Can’t wait for the next festival! What did they think of the movie, of seeing themselves in it? I screened the film for each of them individually in the environments and with the people that felt most comfortable. The film has resonated with each of them differently, as did the process itself. I can tell you that Dasan has seen the film at least 25 times now and still insists on sitting in the theater every time there is a screening (and as long as there is popcorn). Maison and I are planning to film his father’s release this summer and he wants to continue making films. He hopes this film can empower and encourage other children with parents in prison to know they are not alone. After our first public screening, Tre gave me a hug and said, it’s a really good film, we did a good job. More than the film itself though, the process of making it is what I feel has had the biggest impact on them. It brought us together, it empowered them through their own truths, to know they were not alone, and has changed the course of all of our lives. Can you give us any other updates on them, on how they’re doing since filming stopped? They are all doing well right now! Maison and I have been seeing a lot of each other; he is presenting at a Youth Summit in San Francisco for children of incarcerated parents, and will be starting high school next year. He has been making a lot of art and animations, which you can see on his DeviantArt page @crabsp00k. Dasan is 9 now, he and his mom moved into their own apartment and she has been building her own curriculum around the film and educating teachers about how to support children of incarcerated parents in the classroom. Tre is living with a foster family and we are in touch very regularly. He is thinking a lot about his future, since he will be aging out of the foster care system next year. We filled out two job applications last week, and he’s been inquiring about getting a driver’s license. All three of them continue to do panels and engagements with the film with the audiences they care most about. Do you want to talk a little about what National Visiting Days are, in conjunction with your film’s premiere this month? Visiting Day is one of the most important days of the week, month, or sometimes year for children and parents separated from their loved ones due to incarceration. With the national broadcast premiere of Tre Maison Dasan on PBS, we want to help make that day happen for families across the country, strengthen bonds of family, and prompt a national reflection about the rippling effects of mass incarceration in America and the importance of parent-child relationships. PBS accessibility in many prisons and jails provides an opportunity to bring families together with their incarcerated loved ones through simultaneous watching of the film, and even further by capturing and sharing feelings, feedback, and impressions from both sides of the carceral divide at a national scale. We hope the broadcast of the film can build a bridge across the separation between these families, and also help inform more humane programs and policy going forward. To start this bridge, we are encouraging community organizations, prisons, and jails across the country to host screenings during the broadcast streaming window (April 1-14), and have National Visiting Day screenings in 12 states planned so far! Has the film already been screened at any prisons and if so what has the reaction been like? Last April, 2018, we screened the film at San Quentin prison, and the incarcerated journalists there wrote up a great review in San Quentin News. We have a lot of screenings scheduled in prisons and jails across the country now with the broadcast coming up, and have developed discussion guides for incarcerated people and people in re-entry. We are working with several corrections partners to develop a curriculum around the film that could become standard in parenting programming across the country. We are also working with the Rhode Island DOC to have a special visiting day (in addition to the weekly visiting day) where kids can come into the visiting room to watch the film with their parent in person. Along those lines, what would you like audiences to most take away from the film after they watch it? Tre, Maison, and Dasan have driven me to question the criminal justice system through an important lens, one that is imperative to recognizing the rippling effects that mass-incarceration has on our communities, and particularly our nation’s children. These are disproportionately children of color and from lower-income families. Tre Maison Dasan acknowledges that these children have their own agency and insights which should be valued and considered in systemic dialogue and designed interventions. There is intentionally no explicit call to action for an unfamiliar audience and no specific agenda that might flatten their stories for an inevitably two-dimensional cause. Through a participatory and intimate process, the audience is led through the ups and downs of life itself. The film has become more than just an exploration of the criminal justice system, but by extension also systems of masculinity, familial and institutional support systems, education, social and economic justice, mental health, and many more. Not until children like Tre, Maison, and Dasan can see and understand themselves to be important and necessary in the fabric of America can we be comfortable with the world we expect them to grow into. Technically, the biggest challenge was definitely that this was the first feature film I had ever made, and frankly, the first film I had ever made, period. The learning curve was incredibly steep, from figuring out how to use the equipment, to fundraising and grant-writing, to team-building, to distribution, all the while navigating sometimes incredibly sensitive and often emotionally draining situations with the kids and their families. Personally, the biggest (and most rewarding) challenge was learning to understand my relative privileges in the context of filmmaking, relationships, and art. I am most interested in making work about things I don’t understand, to learn about the interconnectedness of systems that run our world. But this kind of inquiry comes with an incredible responsibility and demands an acknowledgment of my whiteness, my femaleness, my able-bodiedness, my economic privileges, etc. I learned as much about myself as I did about other people through this process, and I do believe that productive art-making can never be one-sided. Artists must be vulnerable to question and re-evaluate themselves as much as they ask others to be vulnerable through their work. The freedom that comes through this acknowledgment both for the artist, and the subject, is powerful and cannot be understated. Is there one scene in Tre Maison Dasan that had a particular impact on you, whether it’s a favorite or just one you can’t shake? During the edit, one big challenge was holistically conveying the complexities of Tre’s relationship with his mom. Knowing them, as I did, their relationship was extraordinarily complex, and fraught from so many different angles of structural trauma – poverty, racism, PTSD, suicide, mental illness, addiction. From the outside at a glance, it would be easy to judge Kerri as a “bad mother” and to judge Tre as a disrespectful teenager. Kerri was constantly emotionally dysregulated, and unable to care for Tre, who more than anything needed strength and structure. She would call the cops on him, she would report him to the Department of Children, Youth and Families (DCYF) and beg them to take him away, she would sell his medications. Tre would fight the emotional trauma of these acts by fighting back, or staying away. But at the same time, they loved each other deeply and inseparably and depended on each other in ways I can’t even begin to describe. They were all the other had. Pretty much all of the footage we had of the two together presented only the dysfunction. This was frustrating to me, because I wanted the audience to be able to understand that dysfunction more fully, from their perspective. One night as I was going through footage I revisited a scene my editor and I had written off earlier: the night Tre was in the hospital, because at the time, it had felt more about Joyce than Tre. But as I watched through, between the lines I saw exactly what we had been missing. The vulnerability, the volatility of this mother and son — Tre’s articulation of trauma that has affected him, how he felt about his dad, and most importantly their hug — the only time we see Tre and his mom show physical affection towards each other. I don’t know if this is my favorite scene in the film, there are many favorites, but it stands out for me in how these stories came together. Can you talk a little about how this is “a film by” the boys, about what that meant as a collaboration process? Tre, Maison and Dasan were, and continue to be, involved in the process in different ways depending on their interests. A large part of the trust I built with them was by sharing the equipment and letting them direct their own stories in what they wanted us to be a part of and to see. I really felt that it was a film directed by me, but made by all of us. The title-sharing was a decision that attempts to dismantle the traditional pedigree of filmmaker-subject relationships. I feel that filmmaking is in large part a process of navigating the inherent powers we have over our subjects — power of privilege, resources, creative agency and ownership. Since it has been my practice to have this story be told directly from the child’s perspective, I felt that it was important to respect that agency in the film itself. I didn’t want, nor was it my place, to tell their stories. I recognized the importance of their voices in the conversation around criminal justice, that they were being silenced or unheard, and knew that I had resources to share to help elevate their voices within this issue-space. I couldn’t have done this work without them — none of us could make our films without our subjects — therefore, they are listed alongside me as filmmakers, and they legally own 10% of the film. I have some film ideas stewing but have also been painting, teaching, traveling and reading. Mostly right now I am working full time on our engagement work with Tre Maison Dasan – this project isn’t over yet! – but looking forward to starting something new very soon.